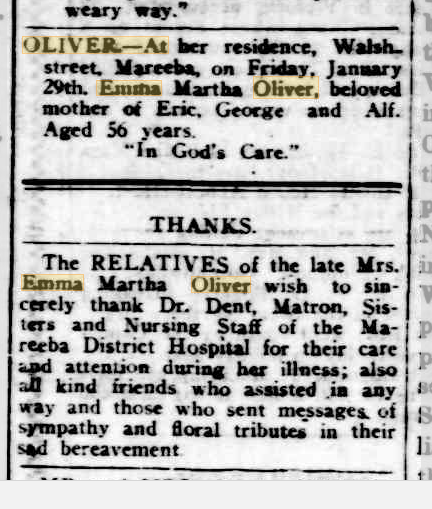 On Sunday, I did a post about the children/grandchildren in my matrilineal line, and found that more research would be needed to determine if Elizabeth Ann Ball had more grandchildren than I had in my tree. 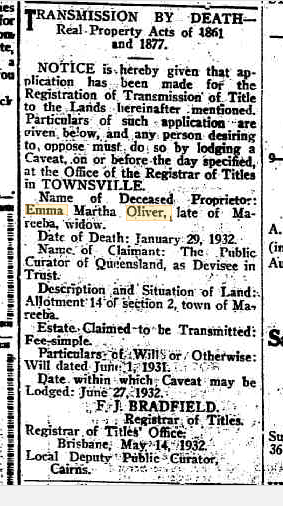 One of the resources I used to try and find more of her grandchildren was Trove, and in my search for information, I came across the following articles for Emma Martha Oliver, nee Dew, the wife of Elizabeth’s 3rd child, and eldest son, Frederick George Oliver, who died in 1932 in Queensland.. 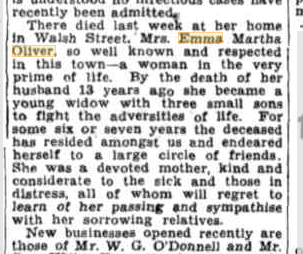 The first article I found was her obituary. 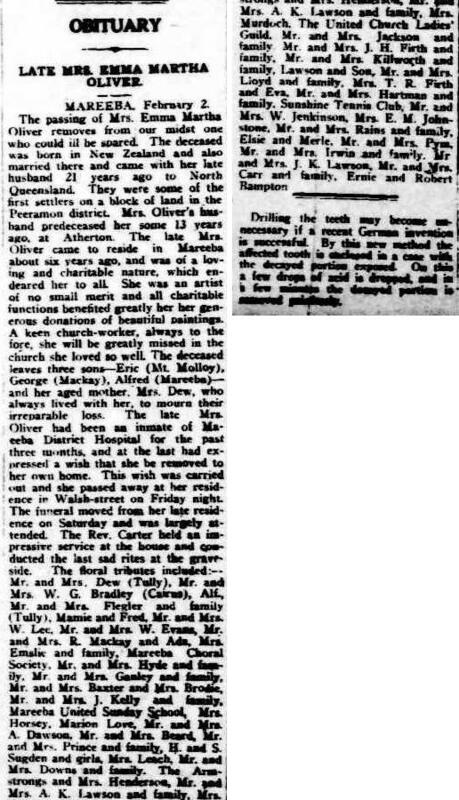 Her obituary also appeared in the Northern Herald (Cairns, Qld) on 6 February 1932 (page 6) – http://nla.gov.au/nla.news-article149898688. There was also another article about her death.